I discovered that Genny3 VA2 has lovely TMSS disable/enable function !!! I've highlighted all visible spots of interest and gave brief descriptions too. The unknown thing probalby does something with the SDRAM chip, things become unbootable when the position is changed, and its not SMS mode control. BTW, is there any info on VA2 regarding SMS mode, GameGenie and whatnot support ? I recall all stuff being for VA0 and VA1..... ? Don't you have a 32x to test it with? And, since you have a good camera, please post a pic, so others know where to find it....Thanks! Last edited by ooXxXoo; 11-18-2009 at 10:33 PM. What about the signal for cartridge slot pin B26 that's disconnected from the VA2 motherboard and needed for Virtua Racing compatibility? Where does that go? I need to know in case I get a second VA2 Genesis 3. I discovered that Genny3 VA2 has lovely TMSS disable/enable function !!! Hey, that's neat! I never knew the VA2 Genesis 3 had something to enable and disable TMSS! 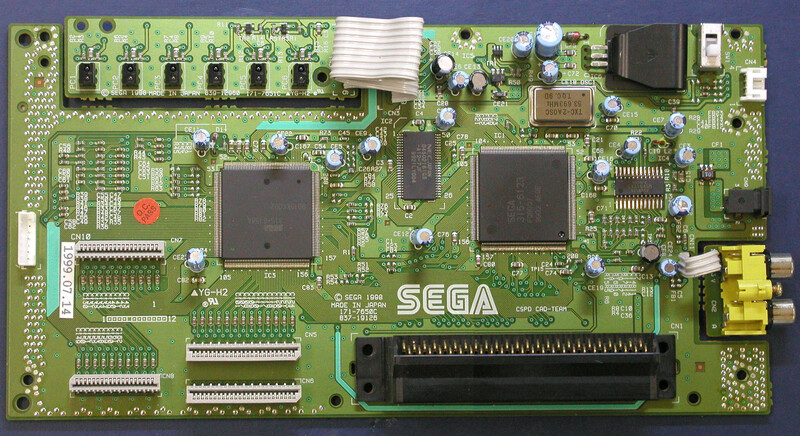 I think I'm gonna go looking for another VA2 Genesis 3 and tinker around with it(but this time, I'm going to desolder all no-connect pins on the 315-6123 so that I don't cause another massive short like with my first VA2 Genesis 3 should I have to solder directly onto the ASIC). You are my new personal hero! TmEE. You impress me everytime. Your work encourages me to mod my own model 1 myself. Who knows? At the mercy of opinions. While doing some hardware research, I stumbled across this interesting site that covers each revision of the Sega Pico, including the versions with the 315-6123 ASIC. Instead of merely disconnecting pin 38 from pin 42, it is connected with pin 28. Perhaps this might stop 1+ Megabyte games from crashing. 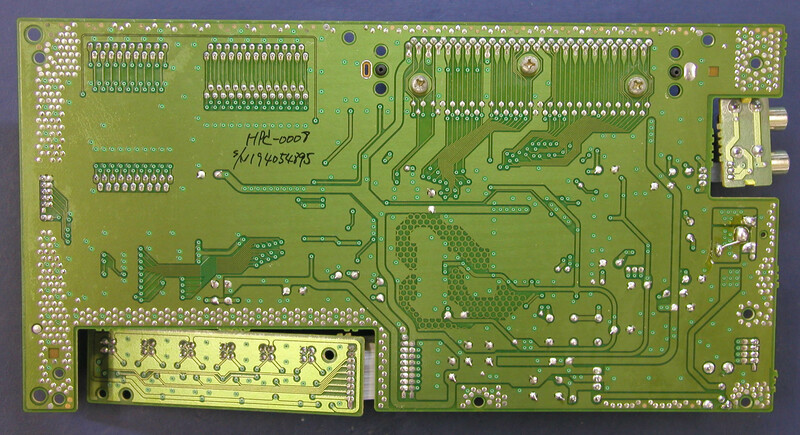 Here's the front and the back of the 1998 revision's main board.